Jersey Sport was set up in 2017 to champion the cause of sport and active living in the island, by being its strong and independent voice. We work to maximise physical literacy and participation in active living throughout society. We support clubs, associations and other sporting bodies, offering guidance in the development of their organisations. We recognise and celebrate well-run groups which demonstrate a commitment to good governance and safeguarding. Jersey Sport is also responsible for the management and distribution of the States of Jersey Travel Grants funding. It backs Jersey’s sportsmen and women, enabling them to compete in events and training camps at a higher level. We also champion sport, as its independent advocate, with our Vote for Sport campaign in the build-up to the 2018 election showing just how strongly the island population believes sport and active living should be at the heart of island life and policies. 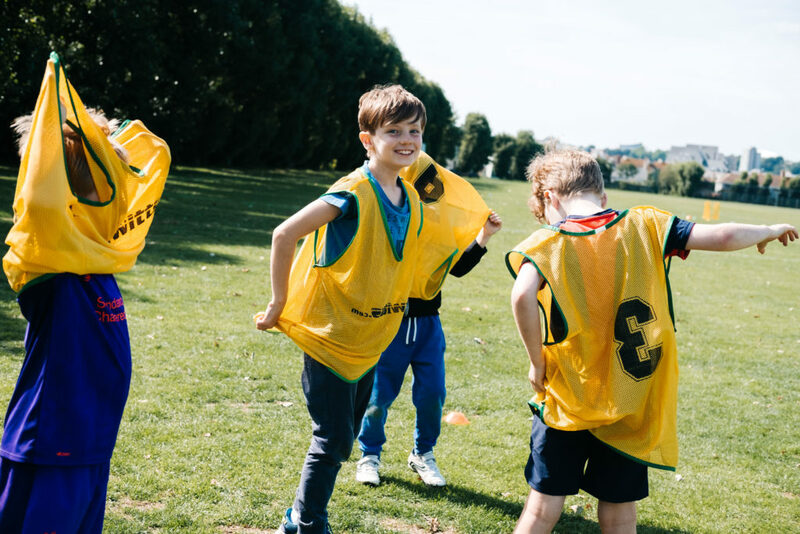 Our qualified coaches run a huge variety of after-school and holiday-time activities, with the focus on getting children active while having fun. From wall climbing to badminton, from boxing to swimming, we run courses at sports centres right across the island. Some of our sessions give children the chance to try something new, while others offer them the opportunity to develop their skills further. You might also see our coaches out and about with our incredible inflatable football park, or running community programmes in partnership with organisations such as the States of Jersey Police. In 2018 we launched our Sportability sessions for children with disabilities. Our Appleby Active Adults programme, including our walking football sessions, gives over-18s the chance to take part in sport on a regular basis and meet new friends along the way. 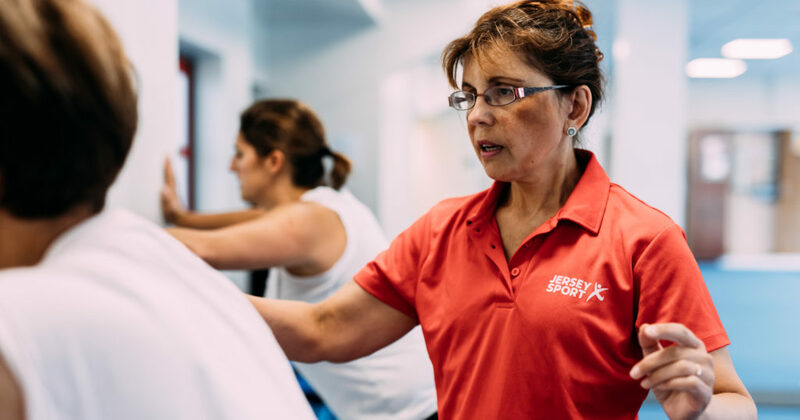 Active Referral is a 12-week programme of exercise for people in Jersey. It’s for Islanders aged 16 or over with, or at risk of, certain medical conditions or pre/post surgery and is run by specially-trained fitness instructors. Participants must be referred by either a doctor or a health care professional to get a place on the scheme. We work with primary and secondary school pupils and teachers in Jersey to deliver best practice in physical education. We help develop and assess the physical literacy levels of thousands of children every year. In the same way a child learns to speak by interacting with their parents from an early age, the same is true of learning to move with confidence. Our physical literacy programmes allow us to measure children in a range of ways and we use this to track their progress and provide targeted activities to help them develop their skills. These activities include PE lessons, activity clubs and school sports festivals. We know that high-quality school sport leads to a lifelong love of sport. In November 2018 we announced that children in Jersey with Special Educational Needs (SEN) would benefit from extra opportunities to participate in sport and get active, thanks to £20,000 of funding from the Sir James Knott Trust. The sponsorship means Jersey Sport can provide a specific “Support for Physical Learning” coach in the island, focussing on students who require additional provision for their social, emotional and physical wellbeing. The sessions are delivered through the principles of martial arts with relaxation techniques, breathing and behaviour management all taught. Swimming is a life skill that is important to have in an island such as Jersey, where you’re never far away from the beach, a swimming pool or a reservoir. Jersey Sport delivers swimming lessons to primary school children in Key Stage 2 (aged 7 to 11 years old). 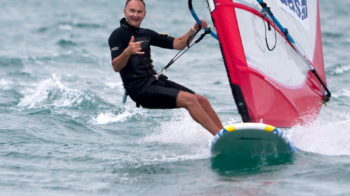 Our qualified instructors provide a minimum of 10 lessons to pupils in Year 4 and 5, from more than 20 schools. These lessons are designed to get children confident and competent in the water, using a range of different skills. All Year 5 pupils in Jersey schools are also offered free outdoor swimming and water safety sessions as part of the Swim Safe campaign. Fit for the Future, the States of Jersey strategy for sport, outlined under the heading ‘organisation’ its ambition to give sport a stronger voice in Jersey and a new strategic direction with 76% of respondents to the consultation saying that Jersey needed to change how sport is organised. To achieve this, it was recommended a new coordinating body be created, operating independently, but with financial support from the States. To evaluate and confirm this recommendation, following a tender process, a specialist sports consultancy, Knight Kavanagh and Page (KKP), was appointed by government to advise on the merits of forming an independent body for sport in Jersey. The KKP report was published in May 2015 and, acting upon the conclusion and recommendations contained in it, the Assistant Minister for Sport, Connétable Steve Pallett, made the decision to appoint a ‘Shadow Board’ (JSSB) with specific Terms of Reference to validate the KKP recommendations and report back on the feasibility of creating the new proposed organisation. Following a recruitment process overseen by the Jersey Appointments Commission Phil Austin was appointed in late 2015 as Chairman with three additional directors, Jean Cross, Steve Law and Tony Taylor subsequently appointed. 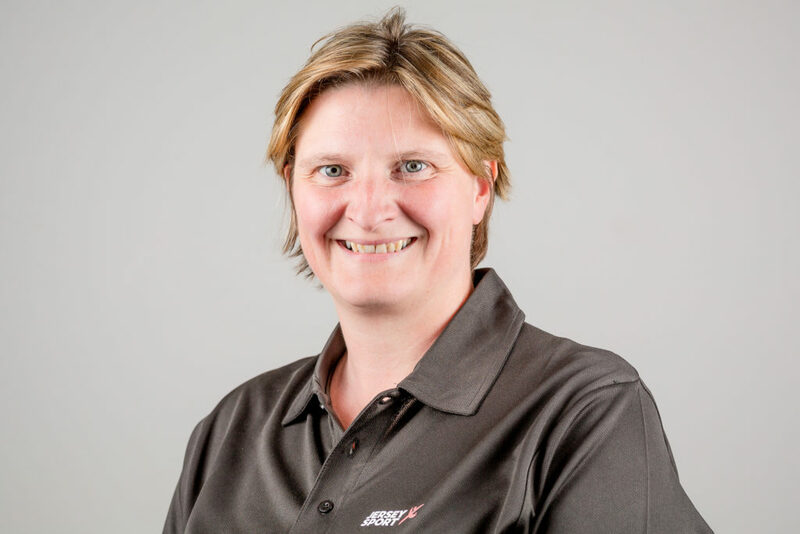 The Shadow Board has now transitioned to become the board of Jersey Sport and in May 2017 the organisation’s first Chief Executive Officer, Catriona McAllister (pictured below) was appointed.